Welcome to Palm View Dental, where the focus is always on you. 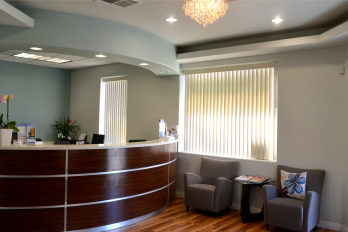 Located in Alhambra, our family-friendly practice is pleased to serve patients from our local San Gabriel Valley as well as patients from all over California and we're even known for having patients come from the East Coast! 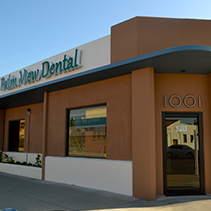 At Palm View Dental, we treat all our patients with compassion, dignity, and consideration. Your unique needs and concerns are important to us, and we’ll work together to develop treatment plans that are tailored to your specific situation. What could be better than helping people we care about achieve the best possible dental and overall health? Our goal is to get to know you and develop a relationship built on trust and mutual respect. We're great listeners, and we make it easy for all our patients to communicate easily with us. Most of our team members are fluent in at least one second language, including Spanish, Mandarin, Cantonese, Tagalog, Indonesian, and Thai. 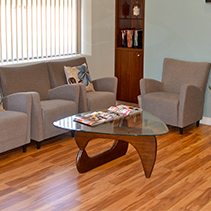 We work hard to ensure that every visit to our office is pleasant and comfortable. When you trust your dental care to us, you can expect the highest standard of quality dental care. We provide all our patients with the same level of care we’d provide to one of our family members. We make ethical treatment recommendations based on your unique needs. Our knowledgeable team will educate you about your dental health so you have the information you need to make sound decisions about your treatment. We provide exceptional patient experiences at all times, exceeding your expectations and earning your trust. We make your dental care affordable with flexible financing, so you can get the care you need, when you need it. everything you need to do. At Palm View Dental, we make scheduling your appointments easy. We’re open weekdays and even Saturdays to give you plenty of options for fitting dental care into your busy routine. We always leave some extra time in our day for our patients who need to be seen immediately. 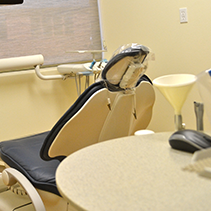 If you have a dental emergency, we’re here to take care of your needs as quickly as possible. Just give us a call and we’ll do our best to see you the same day. Dental care should be a priority that’s not dependent on your financial situation. We care about your oral health, and we’ll work with you to make sure you don’t have to sacrifice a healthy smile because of finances. We work with many insurance plans and we’re happy to submit all claims for direct reimbursement by your insurance company. If you’re uninsured, we offer in-house financing on a case-by-case basis. We also accept interest-free CareCredit, a convenient financing option that works like a credit card. 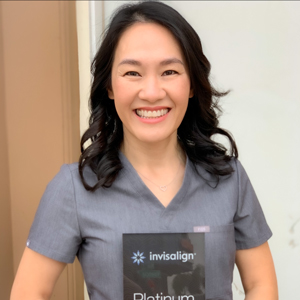 Everyone at Palm View Dental looks forward to welcoming you to our practice and building a long-term relationship with you. It will be our pleasure to help you attain your oral health and smile goals! "She Has a Very Light Touch" - Toby B. ""After moving back from Santa Barbara, I was looking for a local dentist in the area. I decided to try Karen after all the rave yelp reviews and she is ..."